That’s . . . what they WANT you to think . . .
Just FYI… Injecting particulate is not necessarily a good idea for cooling the planet. As we know, volcanic ash has a substantial cooling effect, but when it settles it tends to melt ice and snow. Injecting so-called reflective materials – especially those selected by idiots… oh, I mean “scientists” … may not cause sufficient cooling on balance to compensate for the warming of the settled particles. Meanwhile, we are driving cities into non-attainment and scaring folks with Big Lies about particulates and anthropogenic soot based on misconstrued and misrepresented data on the 2.5micrometer particle counts. Imagine what will happen to the visibility of pristine northern skies, and the attainment status of northern cities on the 8-hr average of 10micrometer counts … and then bump that up to the 2.5 limits at shorter averages. If a private consultant said it, or an oil-industry exec, the fools would rank him next to Michael Savage and call us hypocrites for not striking him dead with a drone! Dan, by proposing stupid things – they are succeeding what’s important for them: “keep the fear alive / we are looking for solutions… problems are real” .. how many ”particles” to spread up, and why, is irrelevant for them. Mate, can you tell them that: human made plenty BIG particles even further up; there are 18000 satellites, with big, big solar panels – preventing every minute some sunlight of coming to the planet’s system. It’s accumulative effect.. every day a bit less sunlight = panic, panic, BOO! 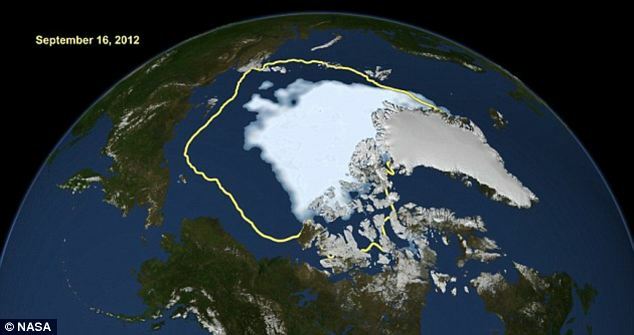 water freezes on zero degree centigrade – on the polar caps average temp is minus -30C. That’s twice as cold than in your deep freezer.